1. Cat liner 2. Soy & honey glazed chicken 3. Tuna salad 4. Polar workout 5. Snow 6. Wagamama 7. Illamasqua Eurydice 8. Fontana de Trevi Rome 9. Polar workout 10. My curly hair 11. Egg in a box 12. Easter chocolates 13. Polar workout 14. Too many work emails 15. Lindt Easter Bunny 16. Coral makeup tutorial. 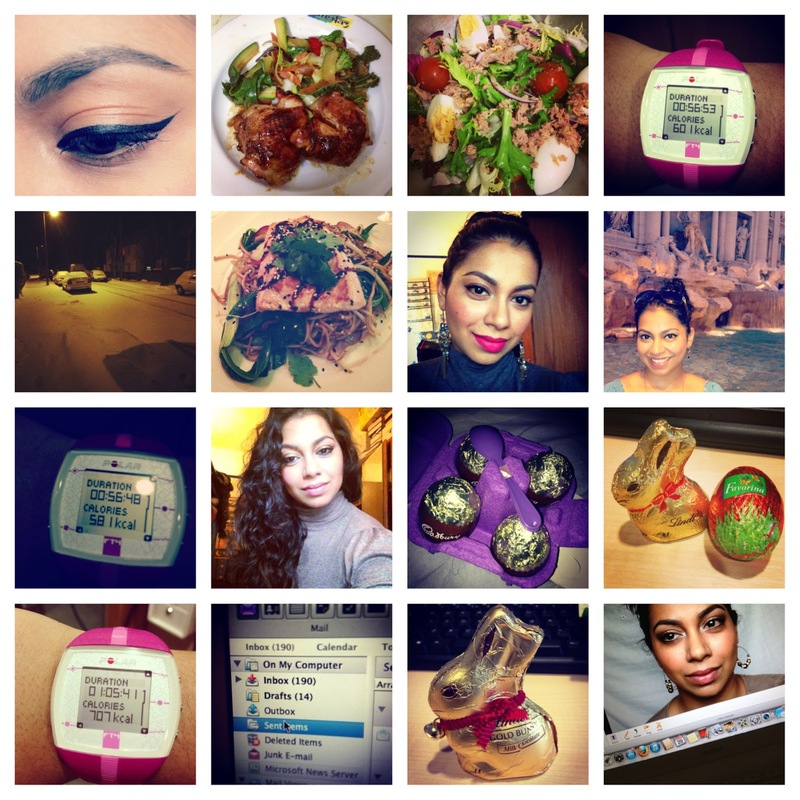 I wanted to share with you guys my Instagramming Life. I am always taking pictures, whether it be of my makeup, food, pets or anything else i can find! I'm kinda looking at my pictures and just seeing chocolate and my workout summary :/ kinda defeats the object right?! LOL! Well, i'm off to go make a nice cuppa! Hope you all have an amazing Bank Holiday weekend. If you guys are interested in my Instagram, its @MissBeautyAdikt. will def try this on my blog, brill idea!